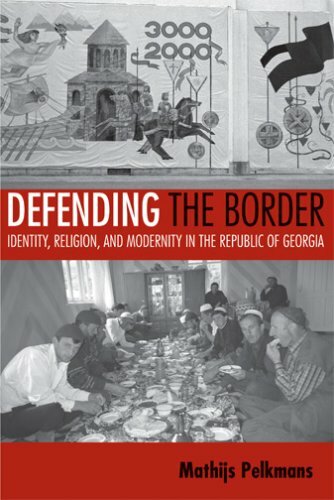 This book, one of the first in English about everyday life in the Republic of Georgia, describes how people construct identity in a rapidly changing border region. 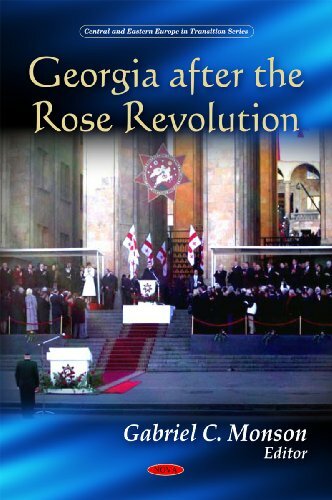 Based on extensive ethnographic research, it illuminates the myriad ways residents of the Caucasus have rethought who they are since the collapse of the Soviet Union. 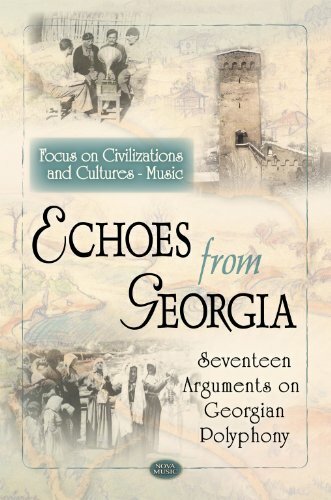 Through an exploration of three towns in the southwest corner of Georgia, all of which are situated close to the Turkish frontier, Mathijs Pelkmans shows how social and cultural boundaries took on greater importance in the years of transition, when such divisions were expected to vanish. "Every Georgian dish is a poem." 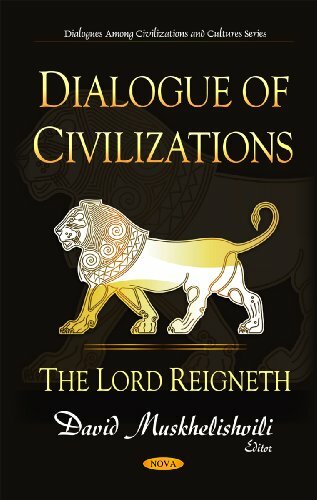 According to Georgian legend, God took a supper break while creatingthe world. He became so involved with his meal that he inadvertentlytripped over the high peaks of the Caucasus, spilling his food ontothe land below. The land blessed by Heaven's table scraps was Georgia. Nestled in the Caucasus mountain range between the Black andCaspian seas, the Republic of Georgia is as beautiful as it isbountiful. The unique geography of the land, which includes bothalpine and subtropical zones, has created an enviable culinarytradition. In The Georgian Feast, Darra Goldstein explores therich and robust culture of Georgia and offers a variety of temptingrecipes. It is an amazing book - everybody who is interested in Georgian should read it. 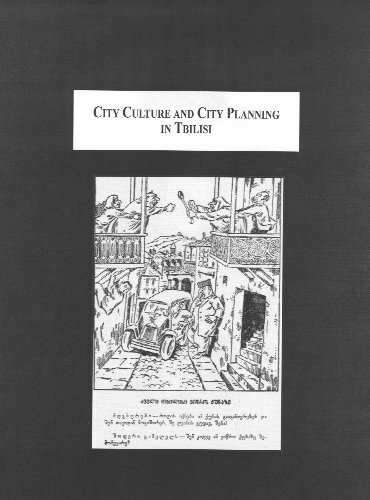 The book includes lot of information about the culture as well. 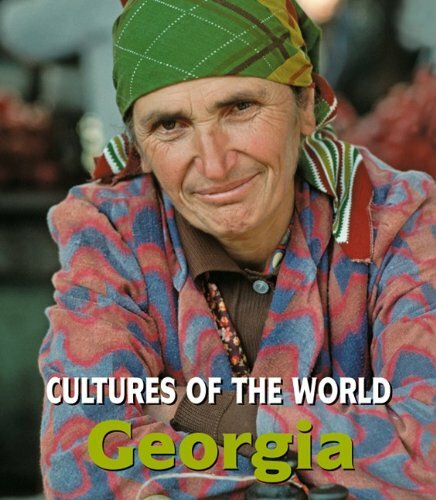 I have since bought many copies of this book for my friends, relatives, and anybody who is remotely interested in Georgia cuisine or culture.There is a section on Georgian culture and traditions in the beginning of the book which is in my humble opinion is simply beautiful. Thank you Ms. Goldstein.I've been meaning to write this review for years now, but better later than never.Thanks again. 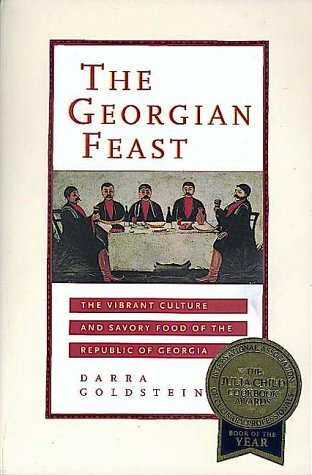 Winner of the IACP Book of the Year for 1999, Professor Darra Goldstein's "The Georgian Feast" offers English speaking Westerners an interesting and well researched peek at the cuisine of the Georgia.Not the State of Georgia in the Southeastern United States, mind you, but rather THE GEORGIA, as in the (formerly Soviet) Republic of Georgia, which spans the lands between the Black and Caspian seas, north of Turkey, and South of Russia.The veritable crossroads of the ancient world, through which much of the trade between Europe, Greece, Rome, Russia, India, the Mid East, and China flowed. * INTRODUCTION:For me, the single biggest joy of this book is the in-depth introduction to Georgian history, geography, and culture ... something I wish more authors would attempt, but which all too often is limited to only the most capable, motivated, and historically erudite authors, few of whom bother to turn their attentions to the culinary genre.In this case, we are blessed with a Russian Professor who labored to assemble an engrossing overview of Georgian feast cuisine.The 25 page introduction and 57 page cultural excursion chapters are gems, and are worth the cover price of the book, all by themselves. * HEAD NOTES:Many of the recipes in part 2 also include indepth and informative head notes on the ethnic origin and cultural contexts of a given recipe, sometimes replete with cultural vignettes and famous quotes.Again, something I wish more authors would include.To me, a recipe is a participatory story in which you commune with those who created and enjoyed the recipe before you ... and those who will go on making the recipe after you are gone. * ETHNIC BREADTH:The author covers a wide smattering of the styles present in the cuisine ... grilled fare, pilafs, stews, salads, pickles, soups, desserts, and goes to considerable effort to identify the ethnic and geographical origins behind selections from each.She also spends a little time covering things like `feast' etiquette, and hospitality, that many Westerners will find interesting. * UNPOLISHED RECIPES:The author does an excellent job relating historical and cultural tidbits, but her recipe documentation skills are a bit uneven and unpolished ... walking a meandering line between antique/rustic, and (in a few places) modern.Personally, I don't mind unpolished free-form historical recipes that omit helpful things like the optimum size/shape of vegetable dice (and meat fabrication), size/type of pan, suggested cooking times, optimal sequencing of steps, comforting photos, and tips on making ahead or leftovers management.However, those who DO feel a strong need for such things may be disappointed by their absence. * MINOR NON-AUTHENTIC SLIPS:The author does a fine job in most of the book giving slightly modernized adaptation of authentic recipes.However, in several instances, some recipes are over modernized, to their detriment.For example, the recipe for "Cold Jellied Pork" on p.96, the authoress indicates the use of pigs feet and a little pork shoulder, but in deference to modern sensibilities, calls for the feet to be discarded after simmering (prior to straining and reducing the stock to a jelly into which the meat is set).I'm pretty certain, sight unseen, that period recipes would likely have called for the feet to be simply deboned and coarsely chopped along with the shoulder, rather than discarded ... such waste is only common to modern cuisine. * MINOR ERRORS:Minor errors abound - such as the yeast bread on p.138 that appears to call for too much yeast. * IMPRECISE TERMINOLOGY:In addition to the frequent lack of things like dice size, the author sometimes uses terms in a somewhat vague fashion ... such as "Salt" (is it fine table salt, medium salt, or coarse salt ? ), yeast (baker's ? instant rise ?) or "Dried Fenugreek", the latter of which the reader must hunt around to confirm that it refers to dried ground leaves, not dried ground seeds.The helpful introductory chapter on ingredients covers some (but not all) of these, but the editor could and should have clarified the recipes on such points. All in all, I was very happy with this book, and I'm looking forward to exploring some flavors and techniques that are a bit new to me (walnut sauces, pomegranate juice, etc.). Despite the lack of polish in the recipe section, I highly recommend this book for the culinarily inquisitive who like to cook exploratively, without the comforting training wheels of precise measures and photos. This is a marvelous, utterly authentic encyclopedia of Georgian cooking. I tried some of the recipes before leaving for Georgia in summer 2006, and they were great, and gave me a good idea of what to expect. Once in Georgia, the book was an invaluable reference that I constantly turned to whenever I tried something new. Just about *everything* I had is in here, along with many things I didn't get around to sampling. This book also helped me learn the correct Georgian names for the dishes and many of the ingredients. A significant portion of the book is devoted to providing cultural background on Georgia and Georgian food, such the elaborate rules for a _tamada_, or Georgian toastmaster. With its charming photos of representative paintings scattered generously throughout its pages, it also made me a Pirosmani fan, and better able to appreciate the originals when I saw them for myself. Most importantly, as the other reviewers say, the recipes *work*. We just made the potato salad with walnut paste (p. 172), and it was delectable. Other dishes we have tried and like include tomato soup with walnuts and vermicelli (p. 73) and green beans with egg (p. 130). Pkhali was one of my favorite dishes in Georgia, and I'm glad to have the recipe for when I get around to making it myself. There is a recipe for beets with cherry sauce, a dish a travel companion had tried but that even some of our Georgian hosts weren't familiar with. For the few recipes that seem to be missing from this book, like eggplant with walnut paste, try Please to the Table: The Russian Cookbook, another excellent collection of delicious recipes from all the former Soviet republics. _The Georgian Feast_ is well worth having even if you don't eat meat - many of the recipes are completely vegetarian. This book is a real treasure. Students struggling to find information on the modern lives of those living in Eurasia need not look any farther! 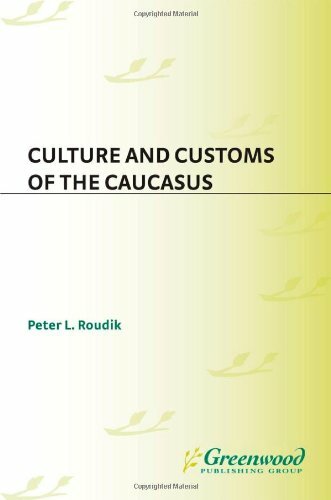 Written for high school and undergraduate students, Culture and Customs of the Caucasus fills a major void on library shelves. This unique reference work explores contemporary life in three former Soviet Union republics: Armenia, Azerbaijan, and Georgia. No other reference book offers such exhaustive material on the traditions and customs of all three nations. Students studying world culture, social studies, and multicultural issues can use this engaging and comprehensive volume to learn about the Caucasus's history, urban life, religion, literature, cuisine, holidays, and leisure activities, among many other topics. In the early 1990's, Armenia, Azerbaijan, and Georgia emerged from the grip of the Soviet Union and stood on their own for the first time in almost a century. Today, these three nations are slowly emerging from communism's dark cloud, thriving culturally and gaining strength economically. 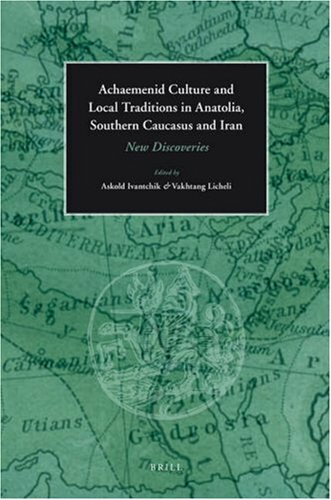 Written for high-school students, Culture and Customs of the Caucasus is the ultimate one-stop reference source that explores the three countries in the region-no other reference work provides such comprehensive and current material. Students studying world culture, social studies, and multicultural issues can use this engaging and wide-ranging volume to learn about the Caucasus's history, urban life, religion, literature, cuisine, holidays, and leisure activities, among many other topics. Enlivened by Irish humor and colorful turns of phrase, this collection of Pierce Butler's letters offers a new perspective on the most enigmatic of South Carolina's signers of the Constitution and on the formative years of the American republic. Describing Butler as an intriguing question mark among the founding fathers, Terry W. Lipscomb presents a cache of correspondence that covers the senator's service during the First, Second, and Third Congresses of the United States. 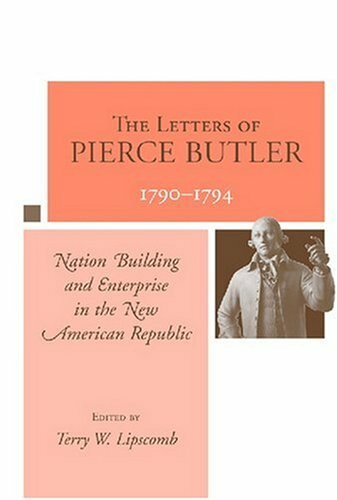 In the first major collection of Butler's writings to be published in book form, Lipscomb offers a detailed biographical sketch of the man and explains the value of his letters--including correspondence to such contemporaries as George Washington, John Adams, George Mason, Richard Henry Lee, Wade Hampton, Andrew Pickens, Charles Pinckney, James Gunn, and Archibald Maclaine. Lipscomb recounts Butler's rise to prominence, from his early days as an Irish-born officer in the British army to his marriage into the lowcountry's Middleton family. More Virginian than Charlestonian in his political views, Butler holds a place of notoriety as the delegate who pushed for the adoption of an electoral college and who allegedly wrote the Constitution's fugitive slave clause. Lipscomb shows Butler to have been a strict constitutional constructionist, a persistent advocate of religious liberty, and an admirer of the French Revolution. He also favored making government actions more transparent and pioneered the tactic of leaking privileged information. An astonishing variety of captivity narratives emerged in the fifty years following the American Revolution; however, discussions about them have usually focused on accounts of Native American captivities. To most readers, then, captivity narratives are synonymous with "godless savages," the vast frontier, and the trials of kidnapped settlers. 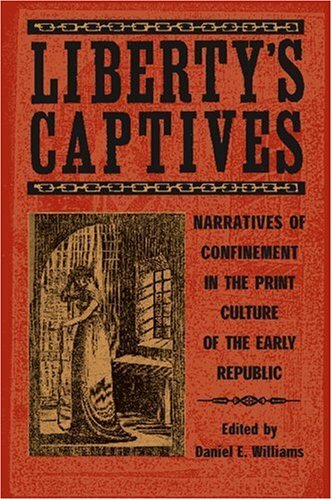 This anthology, the first to bring together various types of captivity narratives in a comparative way, broadens our view of the form as it shows how the captivity narrative, in the nation-building years from 1770 to 1820, helped to shape national debates about American liberty and self-determination. Included here are accounts by Indian captives, but also prisoners of war, slaves, victims of pirates and Barbary corsairs, impressed sailors, and shipwreck survivors. The volume's seventeen selections have been culled from hundreds of such texts, edited according to scholarly standards, and reproduced with the highest possible degree of fidelity to the originals. Some selections are fictional or borrow heavily from other, true narratives; all are sensational. Immensely popular with American readers, they were also a lucrative commodity that helped to catalyze the explosion of print culture in the early Republic. As Americans began to personalize the rhetoric of their recent revolution, captivity narratives textually enacted graphic scenes of defiance toward deprivation, confinement, and coercion. At a critical point in American history they helped make the ideals of nationhood real to common citizens.